Arrive at Delhi drive to Shimla via Chandigarh en-route visit Pinjore gardens reach Shimla check in hotel after some rest go for Mall road, Ridge overnight at Shimla. After breakfast full day visit for Kufri, Jaku Temple, fagu top, Evening back ton Hotel, Overnight stay at Shimla. After Breakfast check -out from hotel.Drive to Dharamshala via Kulu & Manikaran famous for its ancient Gurudwara and hot water spring evening reach Dharamshala check in hotel overnight at stay at Dharamshala. 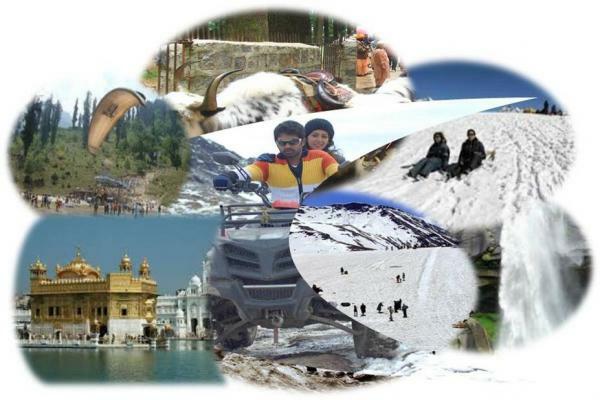 After breakfast check-out from Hotel visit Mcleodganj, Dalai Lama temple, Bhagsu water fall, Naddi, Dallake and afternoon drive to Dalhousie, Evening reach at Dalhousie check in hotel overnight at stay at Dalhousie. Copyright © 2013, Visit Travel Shop. All Rights Reserved.